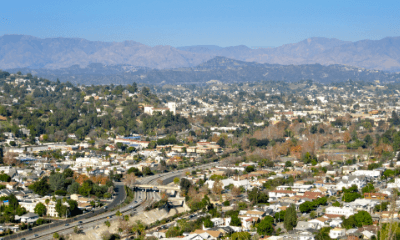 Search all Northeast Los Angeles (NELA) homes and real estate listings. NELA is among the most popular areas for home buyers to consider if they are looking for historic architecture or a fixer-uppers in a relatively affordable that is close to Downtown. With freeways nearby and crisscrossing major thoroughfares, NELA is an excellent choice for commuters. Search all Northeast Los Angeles home listings for sale below (refreshed every 15 minutes from the largest MLS in Southern California) or scroll down to read more about NELA real estate, the neighborhood, and community information. Be sure to register for a free account so that you can receive email alerts whenever new Elysian Heights properties come on the market. Home prices in Northeast L.A. range from average to slightly higher than the Los Angeles County average. The housing stock in the region consists primarily of single family homes with a fews condos and townhomes mixed in. The architectural style of homes in NELA include Spanish, Craftsman, Bungalow, Modern, Contemporary, and Ranch. When available, Northeast Los Angeles neighborhood information will be included along with local schools and similar real estate listings within the area's zip codes (90031, 90032, 90039, 90041, 90042, and 90065). This page shows all active listings (the seller is still soliciting offers). To view active and pending listings (active, but currently under contract), refine the search filters to include all homes. The updated results will then display all inventory in NELA, including those whose owners may be accepting backup offers. If you're buying a home, our full-service Northeast L.A. real estate agents are at-the-ready to assist you. If you're selling a home in the NELA area, our listing agents will provide current market data, comparison properties (comps), and a highly-tailored marketing plan to make sure you get the best price for your home.